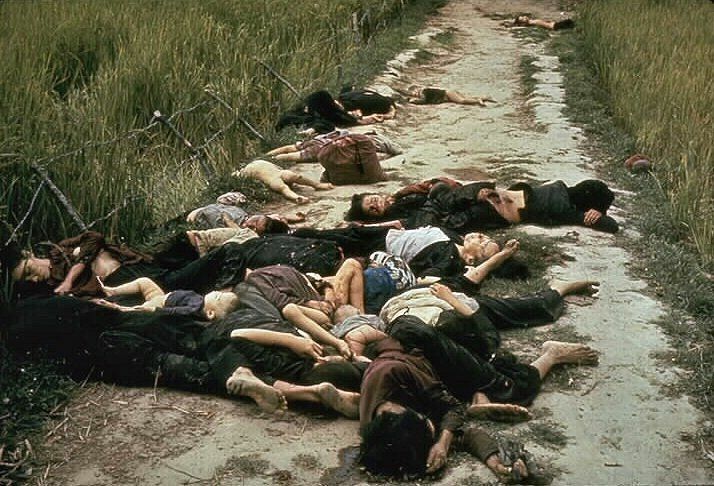 50 years ago today, on March 16,1968, a company of green, battle-untested US Army combat soldiers from the Americal Division, swept into the un-defended Vietnamese hamlet of My Lai, rounded up the 500+ unarmed women, children, babies and old men, and efficiently executed almost all of them in cold blood, Nazi-style. No weapons or Viet Cong soldiers were found in the village. The entire killing operation took only 4 hours. What the massacre brought home to me was the failure of the media. Rather than the hundreds of journalists in Saigon reporting on the war, My Lai was exposed by Seymour Hersh in Washington having picked up on a letter home from GI to a small-town newspaper about the event. Later i saw Colin Powell justifying the Iraq Invasion at the UN and was reminded that he was the officer in Vietnam who was detailed to engage in damage-control to white-wash the US Army of the massacre and many others that went unreported. No reference to his past role was ever referred to as the media took Powell’s word as truth.